(Last Updated Apr 2019) – We have always loved the concept of a multipurpose cooker and this one fits that purpose pretty well. Simply speaking the Cuisinart Central Multi Cooker is a simple to use, easy to clean, and versatile cooker. 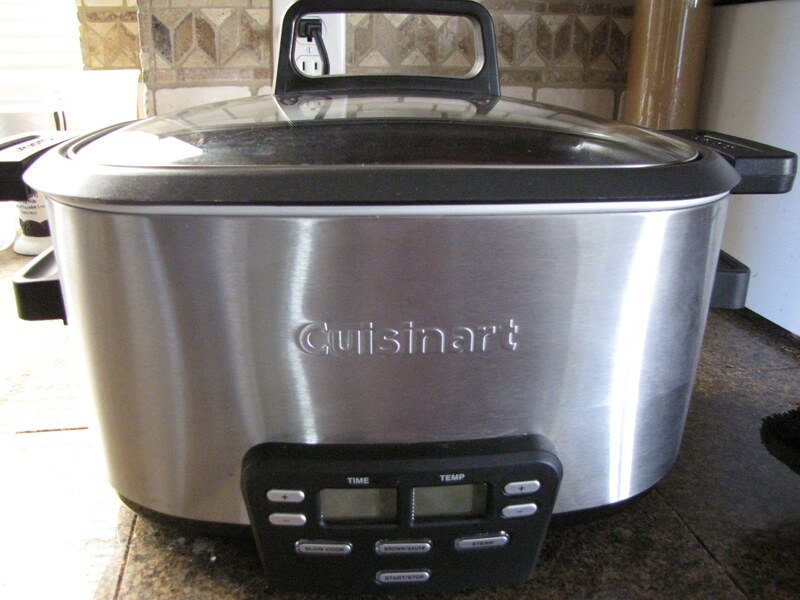 In this Cuisinart multi cooker review we will have a look at the features and benefits of this product as well as anything that we feel is a disadvantage. It is a multipurpose cooking appliance with slow cooking, browning and steaming functions all rolled into one sleek package. 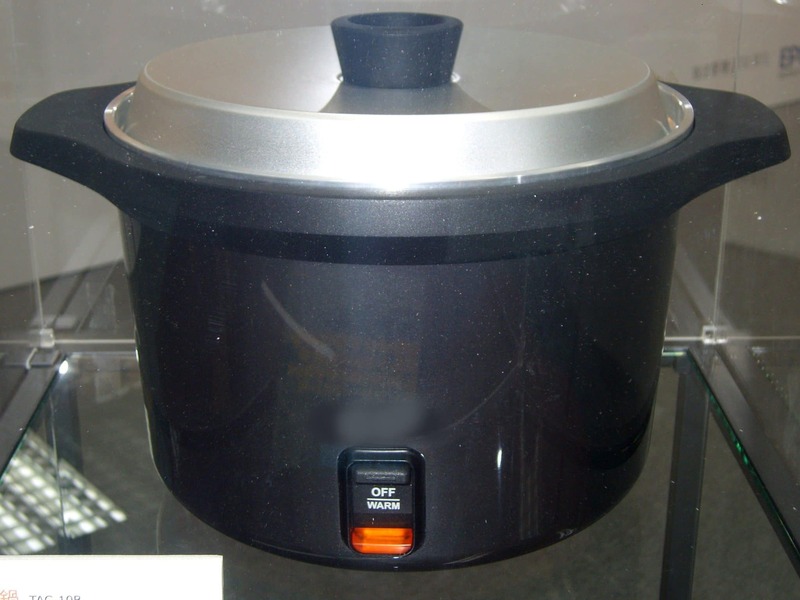 It can very well perform the function of a stove top, slow cooker and oven. It is a versatile kitchen appliance that lets you make a wide variety of food using different cooking techniques in the same unit. You can sear or brown meat for the first few minutes, and then change it to slow cooking mode, and leave it to cook slowly at the desired temperature. The cuisinart multi cooker switches over to keep warm mode once the cooking time is over. The Cuisinart multi central cooker is a great choice for anyone seeking a kitchen appliance that can make cooking fuss free and efficient. If you are someone who doesn’t have enough time to spend in the kitchen or someone who just loves to cook good food, this multipurpose cooker will make cooking a simple hassle free task. The easy to use time and temperature controls, and preset cooking functions are great for anyone who wants to get dinner ready and then leave it to do it’s own thing until it is time to eat. Great for busy people, whether you are a cooking for yourself, a few people or even a large family this slow cooker saves you time and hassle. The Cuisinart multi cooker comes with three programmable cooking functions that allow you to cook a wide variety of dishes with extreme ease. 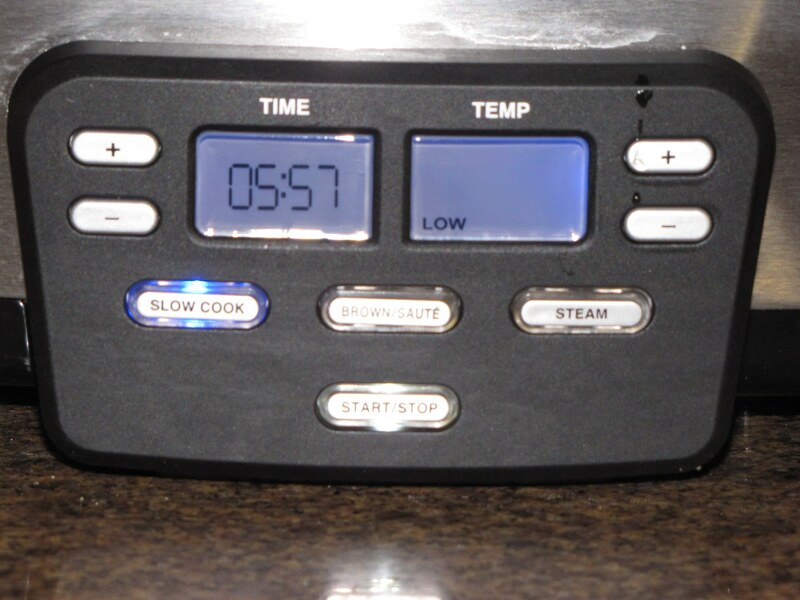 The slow cook function allows three temperature settings, high, slow, and simmer. 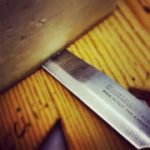 So, you can easily cook stews, soups, and tough cuts of meat. And for healthy eating, there is steaming function as well. You just have to add 2 quarts of water, and set time and temperature, and this cooker will beautifully steam your food for up to 6 hours without losing any nutrients. The brown/Sauté function lets you brown your food perfectly without having to use a separate skillet, and can be used to reheat food as well. You can achieve a consistent temperature of up to 400F in this cooker. The blue LED display lets you set and monitor cooking time and temperature. The programmable control panel is extremely easy to use, and you can toggle between functions, and change time and temperature at the press of a button. It has a glass lid, so you can easily monitor the progress without letting the steam out. The most impressive feature of this cooker is the 6 quart aluminium non stick pot, which can be easily removed and used to serve food. The glass lid, aluminium pot and steaming rack are all dishwasher proof, so cleaning this cooker is a breeze. The cooker looks pretty cool with its brushed stainless steel exterior and blue LED display. So it’s not going to look out of place in your kitchen. 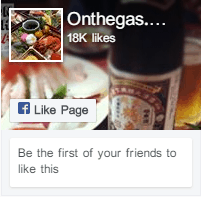 Honestly, there are no clear disadvantages of this product that we came across during the extensive research. We did not find a single Cuisinart multi cooker review that gave us a reason to feel sceptical about the product. The only downside could be the capacity if you plan to cook large quantities of food in it. It is good enough for families, but might fall short of capacity if you host a large number of people quite often. The Cuisinart Central Multi Cooker is a multipurpose cooker that lets you roast, slow cook and steam your food without having to juggle different pots and pans. At the time of writing this review, the cuisinart multi cooker had a great deal on Amazon, so, if you have been looking to buy an all in one cooker, then this is the right choice, and the right time!